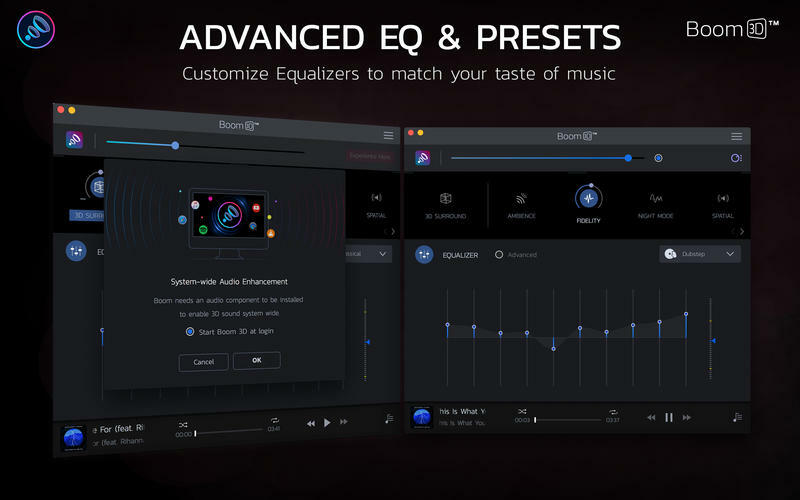 Boom 3D is straightforward volume booster and sound equalizer specially designed to increase the volume and quality of the sound coming out from your Mac’s speakers. 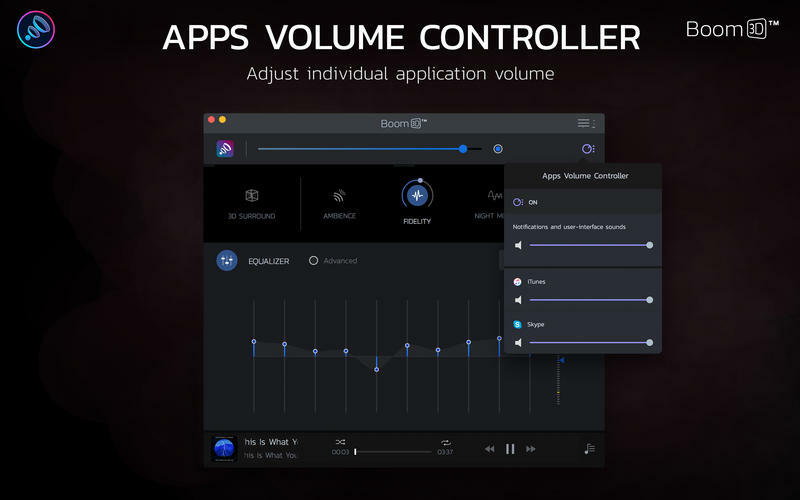 Boom 3D seamlessly integrates with macOS and its controls are similar to the default system volume control. 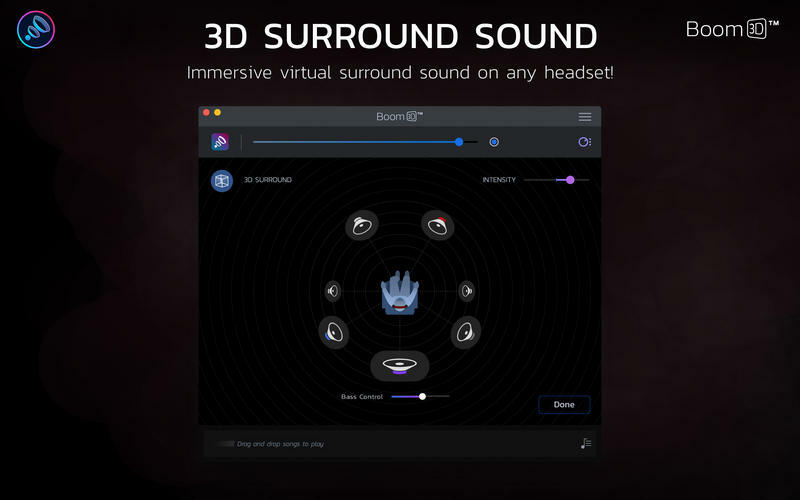 However, Boom 3D provides additional features and capabilities that can be used to enhance the quality of the sound. 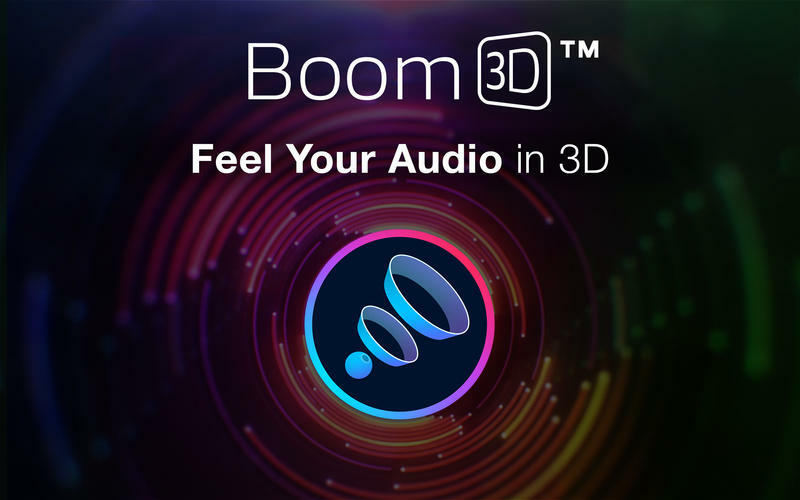 Thanks to Boom 3D you can boost the sound coming from YouTube video clips, songs and videos played using iTunes, Netflix, Spotify or any other application. Moreover, you can use Boom 3D to improve the clarity of Skype and FaceTime video chats. From Boom 3D’s status bar menu you can quickly adjust the sound volume or change the EQ preset with just a couple of mouse clicks. 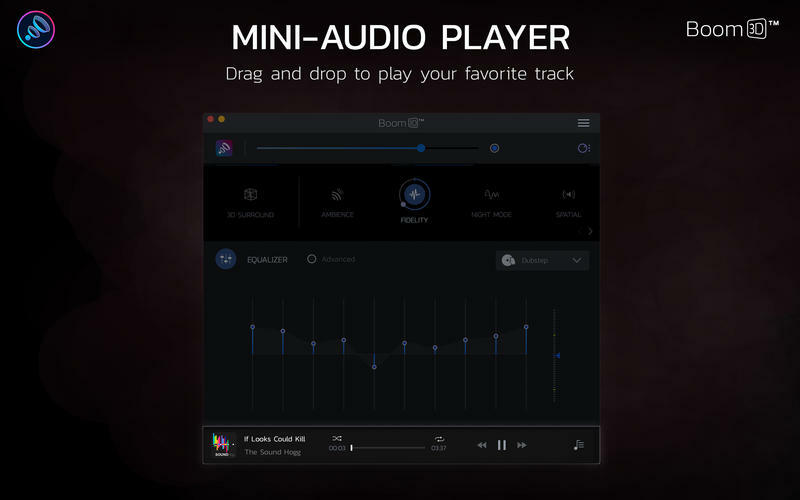 By accessing Boom 3D’s main window you can enable or disable the volume booster and sound equalizer, adjust the sound level and customize the equalizer. Boom 3D comes with a series of presets that you can easily adjust and personalize according to your likes. You can even save your own presets and load them via the Boom Presets slide menu. By accessing the Boost File tab, you can easily adjust the sound level of multiple audio and video files at the same time. What is more, you can configure Boom 3D to automatically add the modified files to a new playlist in iTunes at the end of the process. The Preferences window helps you turn on or off the notification sounds, set the default location for boosted files and type in the suffix for the boosted items. On top of that you can enable and customize the level up and level down hot-keys.